Lucas & Moses are circus twins, separated at birth with one of them being raised in Kenya and one in rural Devon! 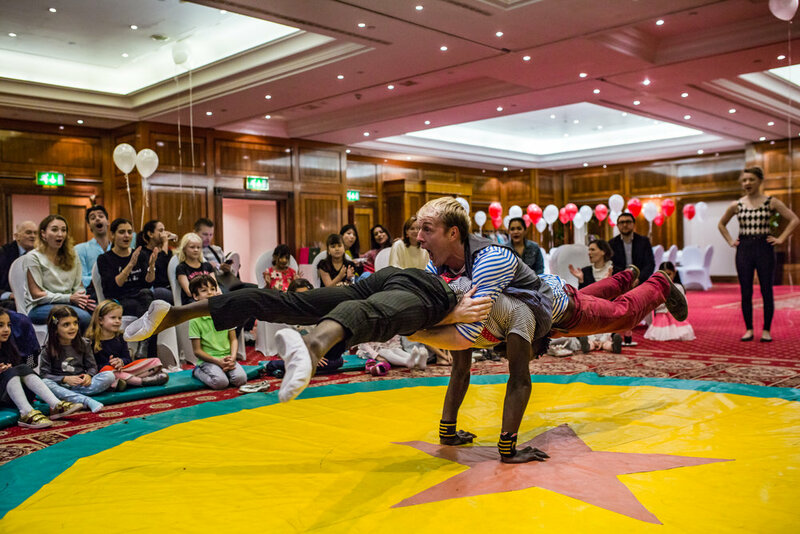 They came together in Bristol 3 years ago and have been revolutionizing children’s party entertainment since then. 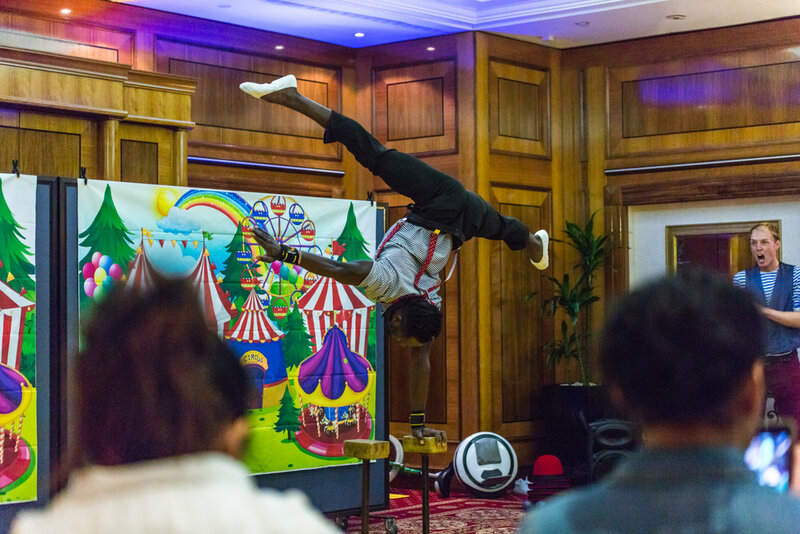 Providing a circus show that blends top class circus; we’re talking one armed handstands, backflips, contortion and 7 ball juggling with humour thats as funny to the adults as it is the kids. This is the kids party to end all kids parties and your friends will be begging you to know where you got them from.